Discussion in 'Amps and Cabs' started by big mike, Dec 6, 2016.
and it's not a marshall. Enjoying this little dead stock, brand new DRRI. I have a scumback coming for it, and I'll dip into the preamp tube stash shortly, but just clean with P90 or tele..I'm enjoying a nice grab and go change up. Any local guys not know about Tweed Hut in Vacaville, really awesome store. Traded off a nice old acoustic that didn't suit me anymore. Soothsayer, strike3, MRscratch and 18 others like this. Big Mike ... and a Fender .....and it's not Red wow.... enjoy it... are you gonna get a Scumnico for it? Try a Dude pedal with it! Makes into a little Bumble.....don't forget Bumble's bounce! LOL My wife's favorite movie. tmac and Rhythm Rocker like this. REPORTED! BANNED! UNFRIENDED AND OFFERING A FREE HEARING TEST WITH WAX WITHDRAW ON THE HOUSE. bbe_rev, earthmud, la noise and 8 others like this. I saw that on another thread , I almost spilt my beer . I have also thought about a PRRI or a Deluxe Reverb . Stormin and big mike like this. 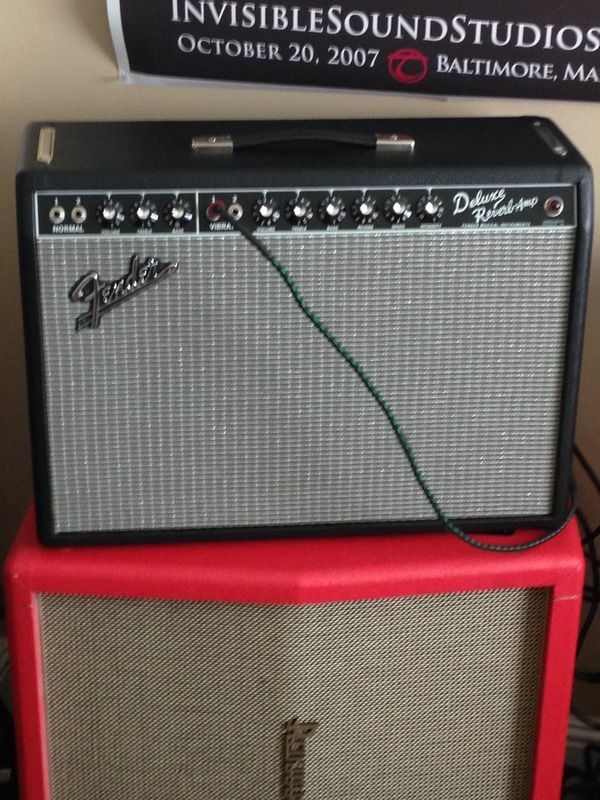 Something just works with a tele and a deluxe. I am getting ready to get an ES Les Paul . I test drove it with a DRRI and a BE-OD pedal and it was very fun . You know.. there were very few things I thought I could count on in my lifetime. That list just got smaller. NEVERMIND that it's a great tone with a Tele, but.. and, well.. The marshalls go nowhere emee. It's all good, till the drummer kicks in. Just joking Mike, not all drummers. la noise and big mike like this. I get it. Finally, a time you can proudly sport the black and silver! wtf am I talking about. Holy Cow! Next thing you'll be playing smooth jazz at the country club...!!! !